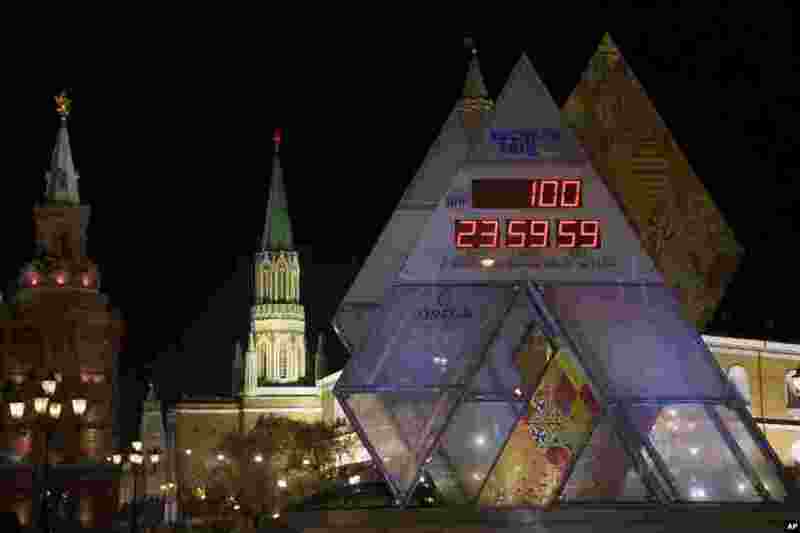 1 The countdown clock showing 100 days left until the start of 2014 Winter Olympic Games is on display at Manezhnaya square in downtown Moscow, Russia. 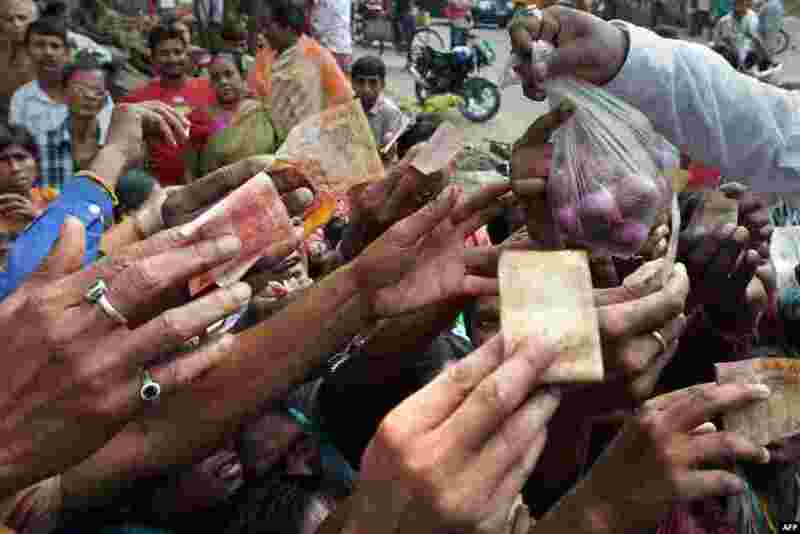 2 Low-income Indians scramble to buy onions at a price of 10 rupees (0.16 USD) for 500 grams, subsidized by a local club, in Kolkata. The price of onions, a staple in Indian cooking, have gone through the roof in the past few months, quadrupling to as much as 100 rupees a kilogram ($1.65) in parts of the country and turning the vegetable into an unaffordable luxury for the poor. 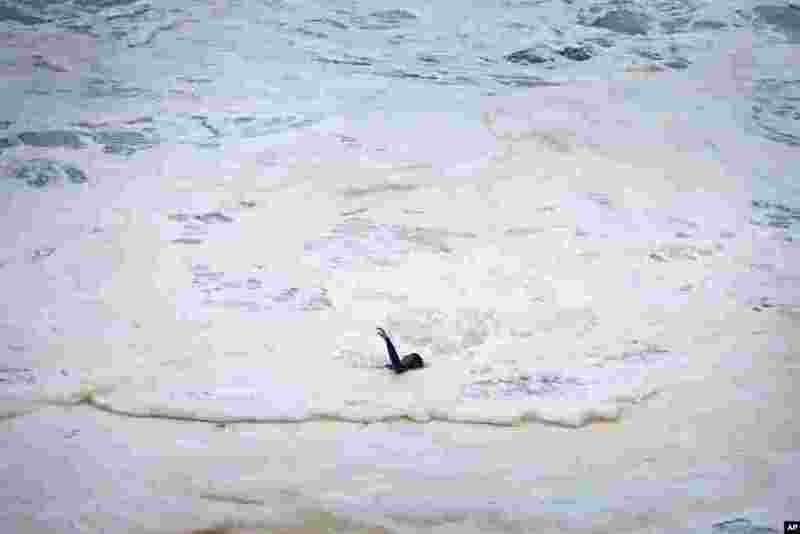 3 Brazilian surfer Maya Gabeira floats apparently unconscious before being rescued by fellow surfers after falling trying to ride a big wave at the Praia do Norte, at the fishing village of Nazare in Portugal's Atlantic coast, Oct. 28 2013. Gabeira was taken to a hospital where she is reportedly doing well despite suffering a broken ankle. 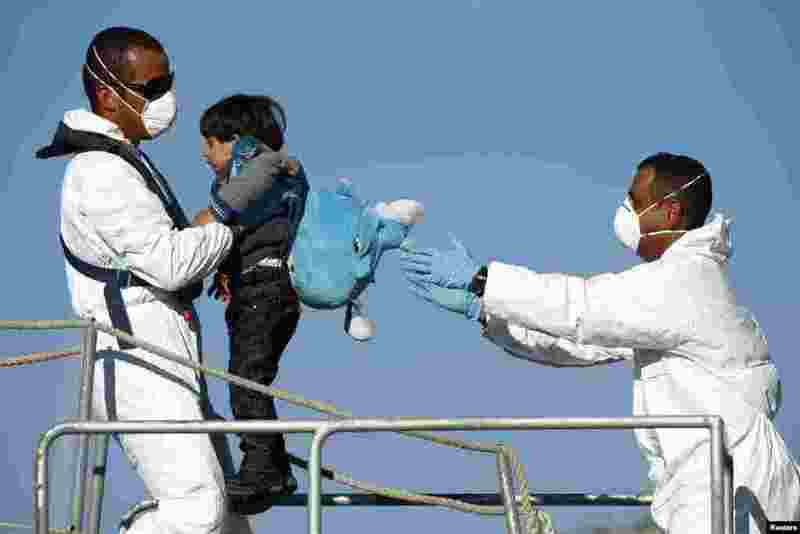 4 Armed Forces of Malta (AFM) sailors disembark a would-be immigrant child from an AFM offshore patrol vessel at the AFM Maritime Squadron base at Haywharf in Valletta's Marsamxett Harbour, Malta. 41 immigrants, claiming to be Syrians and Palestinians, were rescued from a boat in distress 89 nautical miles south of Malta in a joint operation between Maltese and Italian forces, according to army sources.